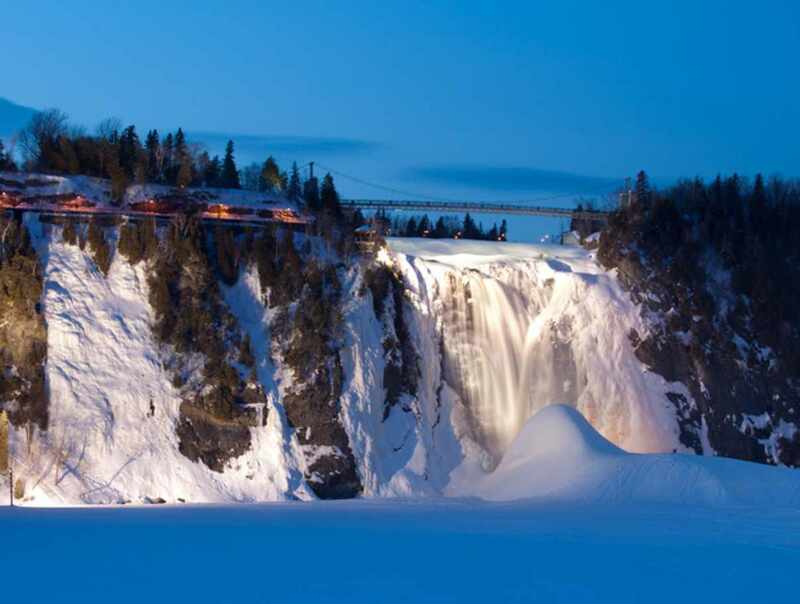 Open year-round, beautiful Montmorency Falls Park is just a few minutes from downtown Québec City. 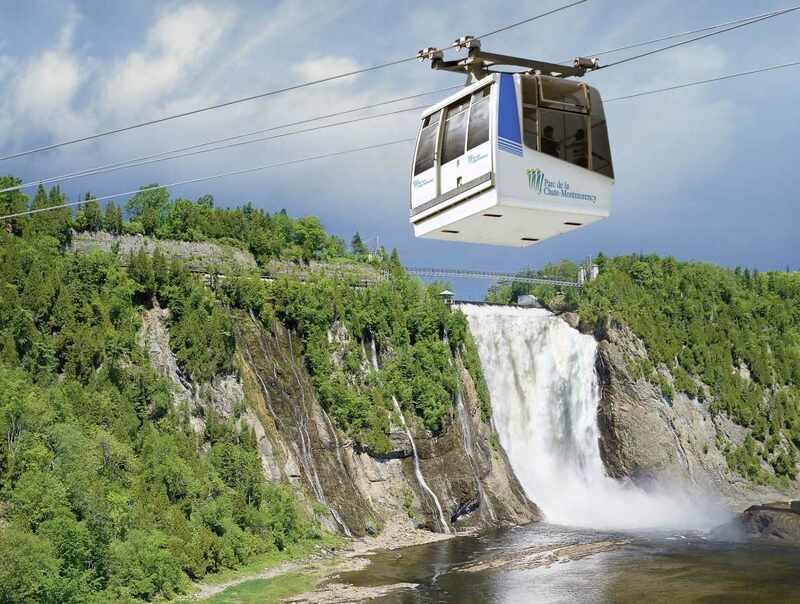 The waterfalls are 83 m (272') tall, a full 30 m (99') higher than Niagara Falls. 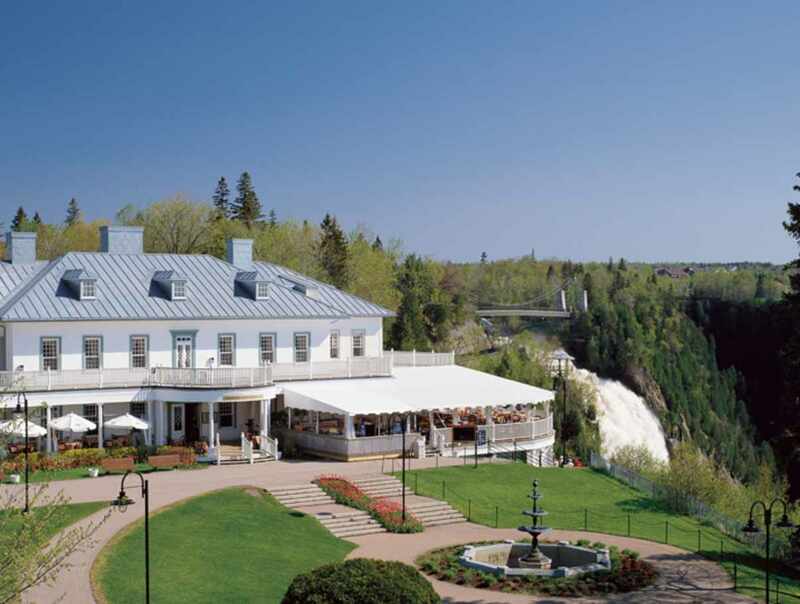 Take the cable car up the cliff to start the panoramic walking tour at the Manor, where are housed an interpretation centre, gift shop and restaurant. 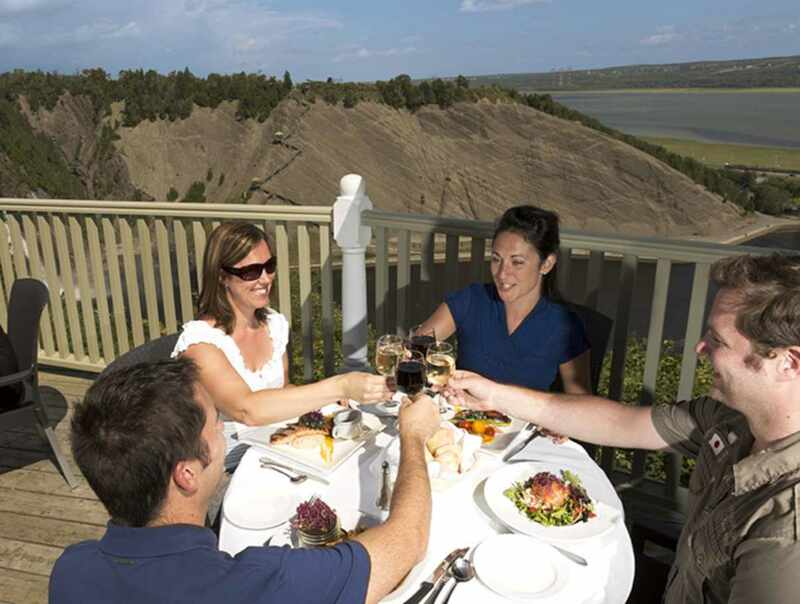 Follow the footpath along the top of the cliff to the suspended bridge, which affords a splendid view of the area. 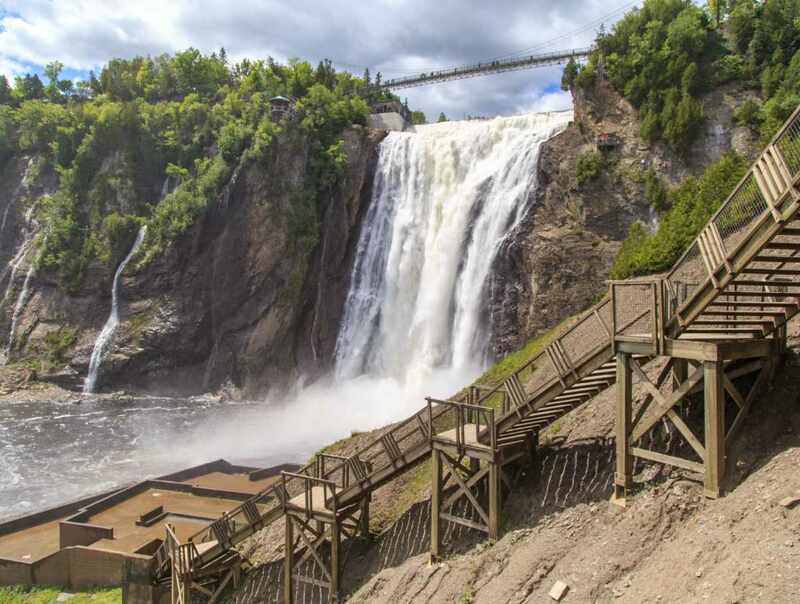 Keep walking along the path until you get to the 487-step staircase down the side of the cliff that will bring you to the foot of the falls. There are also three via ferrata routes near the falls, along with a 300-m (984.3’) double zip line.